Some have argued that if it weren't for the Christian faith and the theology that underpins it, human rights would not exist. Recently in a sermon on the birth of Jesus the pastor made an observation that has been niggling at the back of my mind. It relates to human rights and on what they are based. Some have argued that if it weren’t for the Christian faith and the theology that underpins it, human rights, or human dignity (as my pastor put it) would not exist. The pastor made the observation that human dignity can exist for two reasons. The first and also most common theological way to argue for human dignity is from the Genesis account of world creation in which God says he has made humans in his image. Because we bare the image of God, we have dignity because God is God. The second and a little less used is to argue for human dignity from the incarnation, when God became man in the person of Jesus. Human beings have dignity because God became a human being. Jesus was with us. God walked the earth as a human, teaching people how to be human, and so we should emulate him by showing dignity to others and ourselves. But what of the claim that it is only Christianity which can provide an account of why human beings possess dignity? Since human dignity or human rights are a moral category, the question is about what the root, or justification for any given moral question is based on. If we are not to violate somebody’s else’s liberty, why are we not to violate that liberty? Obviously you don’t have to believe in God to know that violating somebody’s liberty is wrong (at least most of the time.) As one Radiohead song goes: “Where I am, you are not.” I am sure there are plenty of atheists who can give lists of reasons on what their morality is based, and I welcome these in the comment section. But I wanted to offer another reason. Hell might be a theological category but I don’t believe it need be. 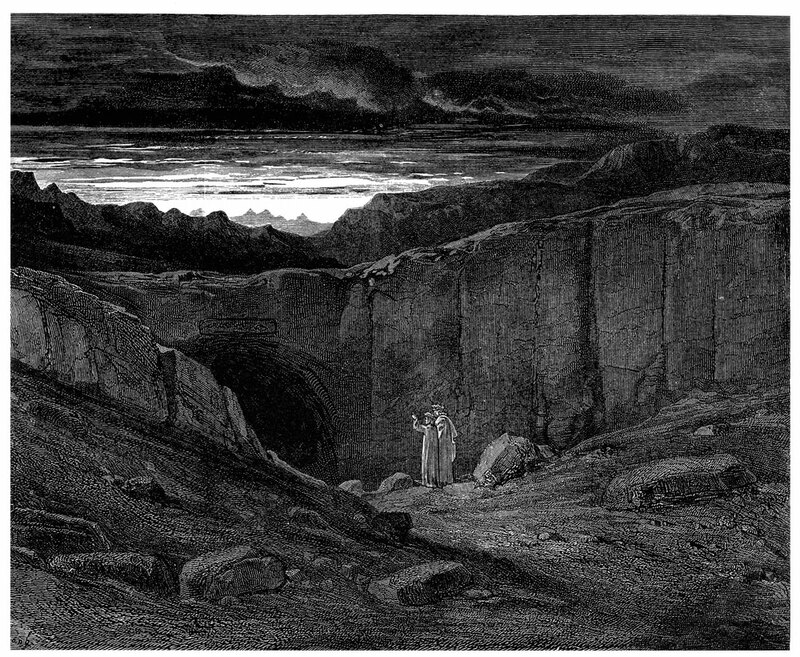 The concept of hell can be understood beyond the idea of Dante’s Inferno. While Kafka was Jewish, and though he could have believed in God, it is unlikely that he was thinking of anything else but the common concept of eternal damnation through the hatred, or abuse of self. He was after all a hater and abuser of self. Yet there is your argument for human dignity. It is not the chasm that is open between us, but the recognition that the chasm exists which provides the basis for which we can argue universal human rights. It is not a terribly hopeful one, but it is one. I prefer the first two.